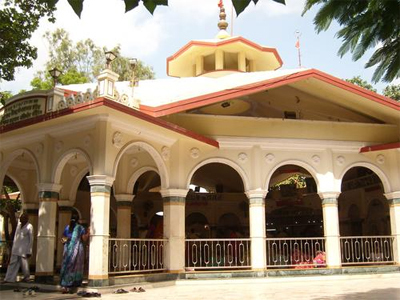 Bala Hanuman Temple, also known as Shri Balahanuman Sankirtan Mandir is situated at the south east side of Ranmal Lake (or Lakhota Lake) in Jamnagar. Dedicated to Lord Hanuman, the temple is separated from the lake by a wide road. 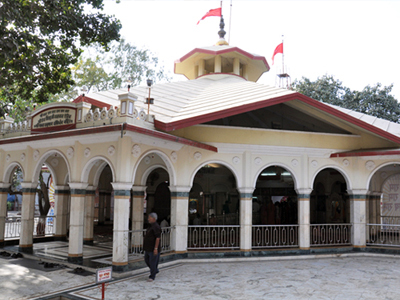 The simple looking structure houses the idols of Lord Ram, Lord Lakshman, Goddess Sita and Lord Hanuman. Since 1st August, 1964, chanting of Ram dhun – 'Shri Ram, Jai Ram, Jai Jai Ram' goes on in the temple premises, day in and day out. This 24x7 ritual has been acknowledged and listed by the Guinness Book of World Records. Local population has deep faith in the temple and believes that it guards them from natural calamities and other troubles. Arti (ritual of worship) takes place twice in a day (morning and evening). The evening arti is the most awaited event of the day. The Lakhota Lake is visited by various species of birds, particularly during the period of migration, making the overall atmosphere more special. Lakhota Fort and Museum are located on an island inside the lake and can be reached through two pathways that connect them with the bank. One can enhance the fun by indulging in boating inside the lake. 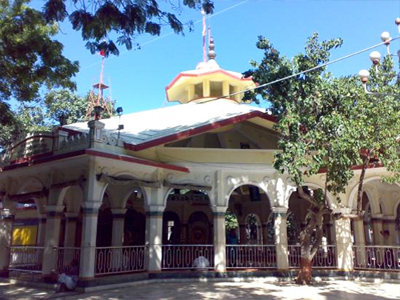 How to Reach Bala Hanuman Temple? By Bus: Jamnagar is well-connected through various state and national highways. Many state and private buses ply between Jamnagar and other cities of Gujarat (Rajkot, Somnath, Dwarka, Gandhidham, Porbandar, Surat, Bhuj). By Train: Jamnagar Old Railway Station is about 4 km from the temple. You can find, regular or weekly, trains till Jamnagar from some states of India (like Delhi and Mumbai). Daily trains to Jamnagar can be taken from many cities of Gujarat (Ahmedabad, Vadodara, Surat). By Air: Jamnagar Airport is 9/10 km from the city and is connected with Mumbai, Ahmedabad, Vadodara and other Gujarati cities. Also, you can take a flight till Ahmedabad and then reach Jamnagar via a car, bus or train. Narara Marine National Park is around 55 km away. It can be reached by road to do the 'coral walk' as the tide ebbs. Best time to visit is between December to March. Dwarkadhish Temple is about 143 km from the temple. Khijadia Bird Sanctuary can give you mesmerizing views of the wonderful local and migratory birds at a distance of 14 km from the temple. Best time to visit is between October to March.